Suspected militants today attacked the security team of the Ogun Deputy Governor, Yetunde Onanuga, at Ibafo. The militants engaged Mrs. Onaguga’s security team in gun battle when she embarked on an inspection visit to some borderline communities between Ogun and Lagos states sacked by militants. The News Agency of Nigeria (NAN) reports that the suspected militants had last Friday attacked the communities killing scores of residents. Mrs. Onanuga, who visited Imushin, Elepete and Igbo-Olomu communities, reassured the residents of the commitment of the authorities to protect their lives and property. The suspected militants however, began shooting at the security operatives who accompanied the deputy governor at Akoka Ebute area of Ibafo, in Obafemi-Owode Local Government Area. 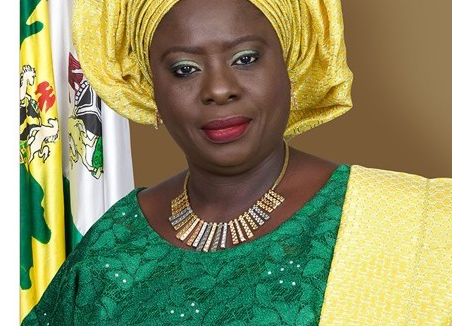 T Suspected militants on Monday attacked the security team of the Ogun Deputy Governor, Yetunde Onanuga, at Ibafo. However, the gun battle which lasted for about 20 minutes, did not record any casualty. Traditional rulers from the affected communities had earlier held a meeting with the Secretary to the Government of Ogun State (SSG), Taiwo Adeoluwa, in Abeokuta. NAN reports that the outcome of the meeting spurred the government to send a delegation, led by the deputy governor, to visit the affected communities. Suspected militants on Monday attacked the security team of the Ogun Deputy Governor, Yetunde Onanuga, at Ibafo. Traditional rulers from the affected communities had earlier held a meeting with the Secretary to the Government of Ogun State (SSG), Taiwo Adeoluwa, in Abeokuta, complaining about the activities of the militants and asking the Government to do something about it.